They're not too overpowered, but, for flying, no faster than sonic speed. For energy attacks, no more than a grenade/rocket launcher. Sweet! Well, I went ahead and edited my app, but I won't start until you give word. Just let me know if I need to change anything. You can start now if you want! Personality: Logical and critical. Does not like taking unnecessary risks or doing generally idiotic stuff. Loves to point out flaws to make sure things work as intended. Abilities: Ice Magic: he can create, change shape, move and remove ice. Crystal Empowerment: he can merge an object into a crystalline object (ice, glass, gems etc.) for a cost, and anyone can use the gem's power. Some examples are merging a plant will let other plants grow faster, merging fire will shoot fireballs, merging a rock will move around dirt and stones, merging flesh will allow healing of other flesh, and more. However the energy to use these gems comes from the person using it, and the durability of the gem will determine how many times it can be used, with ice breaking after 1 use all the way to diamonds which can last hundreds of uses. Appearance: Black hair, blue eyes and pale skin. Above average height, but under average physical strength. Wears a white zipped jumper with a white shirt underneath, and blue trousers. Biography: Toralo used to own a shop where he sold his power crystals, and he had an easy time with it due to the rarity of such similar things around where he lived. However one night after trying to come up with a better design for a crystal, he fell asleep and awoke to the sound of rushing waves, still with the prototype crystal in his hand. Things: Prototype power crystal, never breaks when used unlike other crystals, but loses it's power after 3 uses and needs to be remerged with something. Other: You're the only grandmodster, none have existed before you and none will after you die. You will never meet another grandmodster, and you'll be lonely. Meet Ashen the shoulder dragon! Species: Was human... will explain how this is in the "Biography" part of this application. Personality: He was forged into a homicidal maniac at a young age. Loves the smell and sight of blood. Loves the exhilarating feeling he gets from killing someone or something. Abilities: Extremely superior muscle and bone density with superior physical strength, speed, and has an unnaturally acute sense of smell, taste, hearing and his visual abilities are also superior. He also has a superior intellect, is versed in over one hundred martial arts from different species around the galaxy. Can read any language. Is "close" to being invulnerable to fire, ice, and any other extreme element he may be exposed to. "If" hurt or damaged, his wounds heal at an abnormal fast rate. Appearance: 6 foot 3 inches. Rusty blond hair. Blue eyes. Pallid complexion. Athletic build. Blue jeans. Black boots. White singlet. Biography: When Jack was 8 years old, on Earth, his stepdad killed his mother and sister. In a fit of rage Jack killed his stepdad. This was the beginning of a downward spiral for Jack; a life of killing and the growing love for doing so. At the age of 20 he was imprisoned for hundreds of murders he carried out in his life. Less than a year later Jack escaped prison, and in his search for more victims he stumbled upon a crashed alien vessel in the desert. Inside the vessel he entered a chamber that changed his physical attributes to what is mention in the "Abilities" section above. Once changed, Jack took the vessel into space to escape Earth. He spent a good year in space interacting, killing, and even on occasion helping life forms of different races throughout the Universe. One day, while killing some unspecified alien on some unspecified far away planet, he suddenly passes out and wakes up on... An Island. Things: He carries an 8 inch hunting knife and an automatic Winchester handgun on his belt. (he doesn't really need them as weapons, usually, but he likes to use the knife when killing people for nostalgic reason, sometimes). Both items he brought with him from back on Earth. The knife is more of a souvenir than anything, as it belonged to his true Father who handed it down to him. Other: He doesn't like people, especially humans; in fact he despises them with a sickening disdain. Oh, yeah, a lot of this idea came from the TV series Lost, didn't it? Btw, I'm not always in the mood for RPing, so some days I may post a lot, other days less, and some days I may not take part at all because I'm just not feeling it. In other words, I may not be as frequent a poster as many of the players. Is that ok? Or am I under pressure to post regularly on this RP? No pressure, you can post whenever you want. Also, I actually got the idea after reading Lord of the Flies. Abilities: Yürei can create and control small semi-autonomous 'dolls' which can take up various forms. These 'dolls' can do various tasks from scouting to combat, but their small size means that they're quite weak. They really shine when used in a group though, as they can lift heavy objects quite easily. Yürei can also channel her magic through her 'dolls', allowing her to fire several weak attacks from various different directions to overwhelm a foe. However, the more 'dolls' she has, the more energy it takes to command them. Giving them all the same job isn't as exhausting as giving them all kinds of different jobs however. The dolls can be made with all kinds of different substances. The tougher the substance used to make the doll the tougher the doll becomes. The substance also has effect on the doll itself, as a doll made out of sugar will dissolve in the rain. She can also create dolls out of Magic Energy. These dolls are incorporeal and consume more energy to use things (They have telekineses but using it draws from Yürei's energy pool) but can't be physically damaged. They cannot use their ability to move creatures around. Dolls can come in various shapes and sizes, and are not limited to humanoid forms. Their Semi-Autonomous status means that they can think (albeit not as well as a sentient being), and they can use things like small sticks as weapons. Dolls are small enough to hold in one's hand. They can be made bigger but that also makes them more exhausting to use. (They do get stronger though). Yürei can see what her dolls can, but the more dolls she has the harder it is to focus on what a specific doll can see. 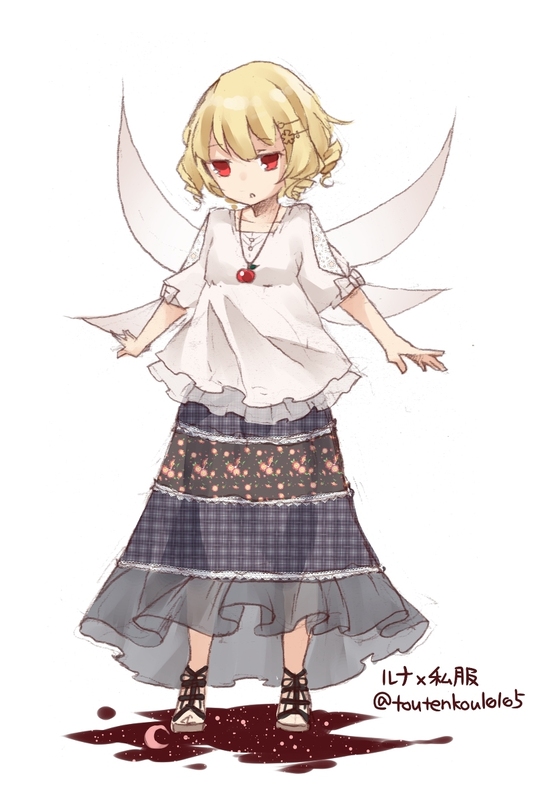 As a Fairy, Yürei does not necessarily have to breathe or eat. They do like eating things though, as long as it's tasty. Yürei can resurrect a limited amount of times (12 times). If killed, her body and anything she's carrying dissolves and will reform about an hour later depending on how many injuries she had when she was killed. The more injuries the longer it takes for her to recover. The amount of 'lives' she has can be brought up again (Don't know how yet). Also, since she's a Fairy, Yürei dies more easily to wounds than Humans. Biography: Fairies don't really do anything noteworthy so there's nothing to put here besides this and some random info about Yürei. - Yürei likes collecting things and thus carries a bag with her full of random things she found. Most of it is useless though. - Yürei really likes swimming and prefers to live in/on/under water. If it's too OP just tell me and I'll adjust it. I'm sorry that I couldn't post, I'll try to now. Can someone please fill me in on what happened? Elemental Manipulation: Use ethereal power to control elemental forces. Light Element Manipulation - Manipulate the purest form of the elements through Aether. Aether Aura - Except he wouldn't be able to dodge everything, just more able to dodge things. He can also Harden it. Using this Magic for a long time can really exhaust him. Most likely somethings I forgot to mention, but whaever. He is above the average capabilities of an ordinary human being. Even when he isn't using Magic. Appearance: Blonde hair, Brown eyes, White long sleeve shirt, Jeans, and Grey sneakers. Average sized body. Things: Blue Sunglasses, A Black Backpack, and his Pocket Knife. Eh, I haven't done any RPing on this site in at least a year, might as well start again with the one that seems to be the most active right now. Abilities: Very basic magical knowledge (see bio). Mostly has to do with manipulating the world around him using things like telekinesis and control of the elements. As of right now he has very little control over his powers and can, with extreme focus, maybe move a few stones or create a breeze. Over time he will start to get his powers back and will eventually be back to full strength. He is also very skilled when it comes to fighting with swords and daggers. However, when it comes to the use of projectile weapons he is surprisingly terrible. Although most of his blood is human, he still has enhanced hearing and eyesight, along with control over normal animals. Having lived in a forest for most of his life, he is an expert on living in that sort of environment. He is also fairly intelligent. Because part of his soul is gone, he is able to travel around the physical world with greater ease. He's faster, can jump higher, and even glide through the air for short distances. In very dangerous situations he can teleport distances of up to a mile by himself and even take others with him if he focuses enough. 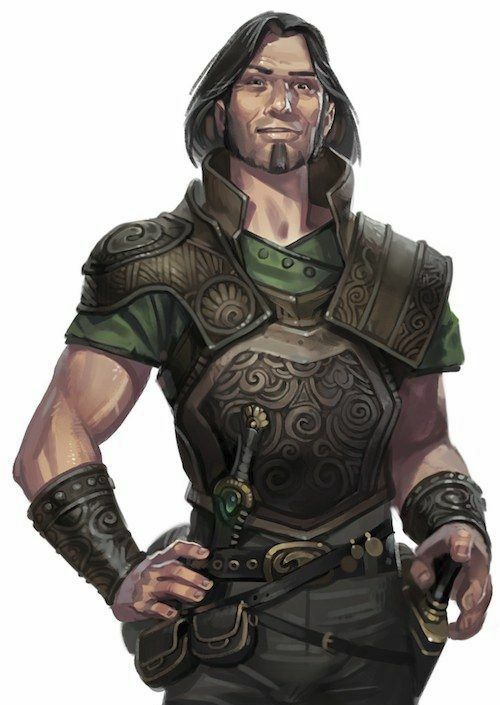 Biography: Sirus was born to a human father and a half-elf mother. He lived in a small village of around twenty people until his family was banished because of his father's interest in dark magic. Forced to live in the nearby forest, the three learned to survive off a steady supply of berries and small game. His mother trained him in melee combat and the ways of the forest so that he would eventually be able to live by himself. Over time his father became consumed by a need to be one with nature. After countless experiments with the animals that lived in the forest, he discovered a way to perform a ritual that would allow him to freely transform into a wolf. With his sanity gone, he no longer cared about anything other than his work and tested the ritual on his fifteen-year-old son under the light of the full moon. It failed and the results were horrendous. 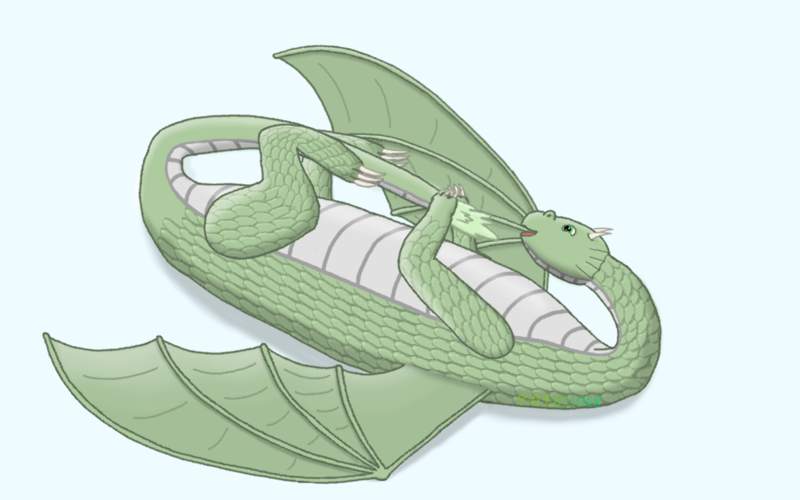 Now more beast than human, Sirus lost control of himself and tore his own father to shreds. His mother managed to capture him and keep him from harming anybody until her father, a wise sorcerer, found a way to counteract the dark magic with the powers of an ancient amulet that Sirus was given to wear around his neck. The only problem was that the transformation would still happen under the full moon, but it would only last a few hours. All he had to do was keep the amulet on and he'd be fine. Now free to live his life, he moved away from his mother to pursue magic, hoping that he might be able to find a permanent solution to his problem. He didn't possess the same natural magical abilities that his father did and thus found it very difficult to learn the ways of the arcane. However, after only three years of lessons from his grandfather he managed to get the basics down. All that was left to do was train. Sirus would finally have the normal life he had always dreamed of. He started to study a very powerful type of magic. Teleportation. It could only be done with the help of very powerful magical artifacts called Soul Shards. These crystals allowed any living creature to separate their soul from their body. This simple process would remove the binds that kept people tethered to the physical world and allow them to travel anywhere instantly through the magical realm. The only problem was that the ritual could only be performed with a pure soul, which Sirus was not aware of. The Soul Shard shattered in the middle of it and a part of his soul was lost, causing him to lose almost all control over his power. His body already almost entirely in the magical realm, he was sucked into it and lost consciousness. Things: Just what he had on him at the time (basic clothing, his dagger, the amulet) and the tome that contained the instructions on how to perform the ritual and many others. Other: I think that's about it. Don't have much time to say anything else, I have other things to attend to. Something about a Grandmodster. Idk. I've only read one other application, what sorts of abilities do other players have? I made a few changes to the "Abilities" section of my application, could you look over them and make sure that everything's still okay?